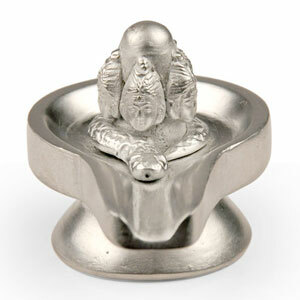 Shivalinga : Its represent Lord Shiva and Goddess Shakti. 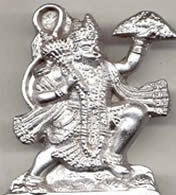 Panchmukhi Shiva - Aghora is the destructive aspect of Shiva, Ishana is omnipresent and omnipotent. , Tat purusha is the ego aspect of Shiva., Vamadeva (Varna Deva) is the female aspect of Shiva and Rudra (Sadyojata) is the creative and destructive power of Shiva. As per the Vedas, there is nothing more pure, pious and auspicious in Kaliyug than Parad. Mantra :- Om Pancahvaktraye Vidmahe Mahadevaye Dhimahi Tanno Rudra Prachodayat . Benefit :- It Brings peace to the premises. 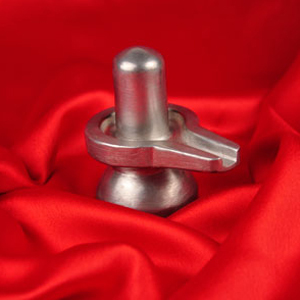 If kept in the bedroom, it brings harmony among the couple. 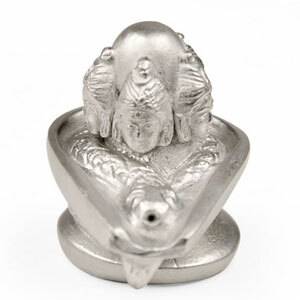 It Removes Vastu Dosha, grah peeda and fulfill four goals in human life-religion, health, desire, and salvation. It helps in controlling various disease like, high blood pressure, asthama and heart problems and help to increase your will power. 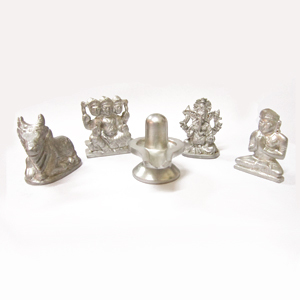 Parad Shivling will give fruitful results reguarding your Vastudosha, Grahapeeda, Courtmatters, Bussiness, sevice, Success in Studies, Health, Wealth, , Peace and Harmony. Offer devoted worships to him and put forth your desires and difficulties of life.